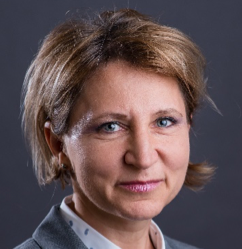 Nóra Szabó is the Human Resources Director of Granit Polus Group since September 2016, and responsible for HR strategy, organization development, staffing, resource and budget management, employees’ development, performance management, internal corporate events and also CSR. Previous to her current role Nóra acted as freelancer HR specialist since 2009, providing HR and also CRM consultancy services for corporate clients. From 2011 she was also Consultant in HR for local and international subsidiaries of Granit Polus Group. Nóra had gained her HR professional experience since 1996 in diverse sectors of the market, but mostly in multinational companies with high standards. Nóra has university degree and gained master’s degree in Human Resources Management and speaks Hungarian and English. She has Chartered Accountant and Labour Safety Specialist diplomas as well.